Waiting on Wednesday is hosted by Jill at Breaking The Spine, it spotlights upcoming releases that everyone’s talking about! Heck, it had me at fans of Firefly! 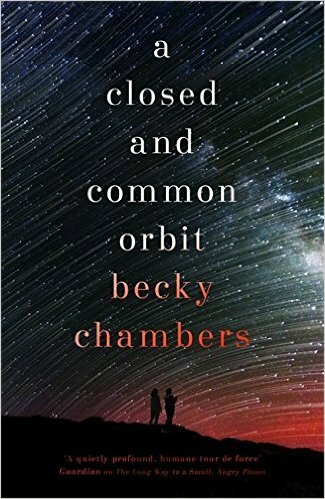 One of the most beautiful covers of last year belonged to The Long Way to a Small Angry Planet and you know what it was beautiful inside too. 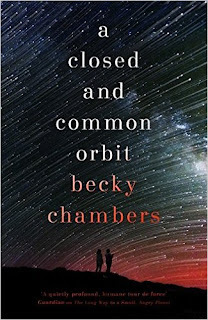 A Closed and Common Orbit is book two in the series and I am beyond excited for its release in October. I still need to read the first one!!! 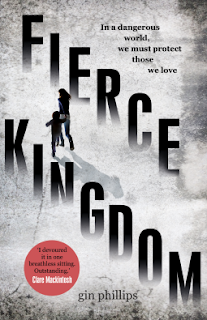 And that cover... yeah. Nuff said. The AI in a human body tho... I like that too. Lovelace is a great character and this series is wonderful! Ohh great pick I haven't read the first book yet, but I heard amazing things about this series. I hope you do enjoy it when you get a chance. Here is my WOW pick for this week. Thank you for your awesome post.